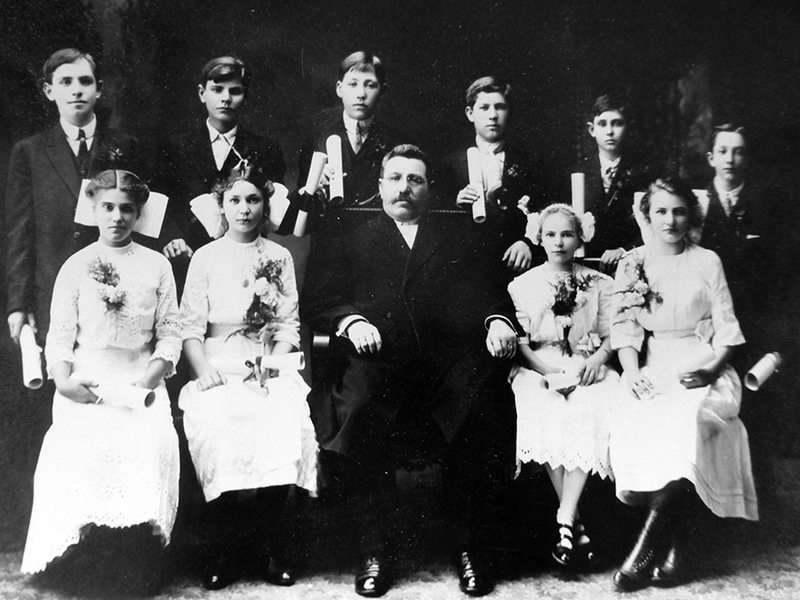 The St. Pauls Evangelical and Reformed Church Confirmation Class of March 23, 1913. Front row from left to right: Christina Elizabeth Blum, ?, Rev. Jacob Hergert, ?, possibly Maria Gerlach. Back row from left to right: ?, ?, Wilhelm Kern, ?, ?, ?. Confirmation class photograph and certificate courtesy of Susan Kern who identified her grandfather, Wilhelm Kern who was born in Norka, Russia on April 8, 1897. Christina Elizabeth Blum identified by her granddaughter, Leah Fehribach. Christina Elizabeth was born on June 28, 1898 in Norka, Russia and immigrated to the United States about 1912. 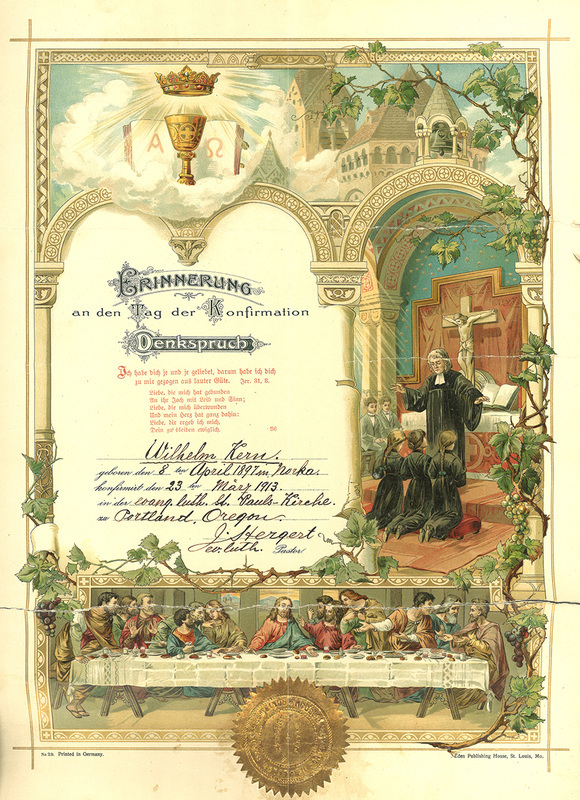 She married Alexander Gerlach. Maria Gerlach tentatively identified by her great-niece, Leah Fehribach.